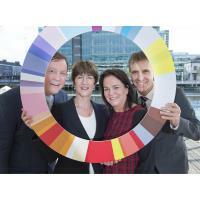 A European First as Startup Nations Summit Lands in Cork for GEWThe international Startup Nations Summit, which has never been held on the European continent, will be welcomed to Cork for Global Entrepreneurship Week 2016. The Startup Nations Summit, which takes place on 19 November, is just one of many events organized for startups, entrepreneurs, policy makers and stakeholders in the startup ecosystem. Supported by Enterprise Ireland, and co-hosted by Cork innovates and Startup Ireland, an extensive range of events including the Global Startup Gathering, sponsored by Bank of Ireland, will take place across Cork city and county from Spike Island to City Hall. Among the international delegates, President of the European Committee of the Regions, Markku Markkula, will be in Cork to participate in the Startup policy discussions and US State Dept Director of Global Entrepreneurship Thomas Lersten and GEN President Jonathan Ortmans will be actively engaging with national and international delegates at the events in Cork running from 17 to 20 November 2016. Unique business events, such as Talent Jam, an innovative US approach to talent acquisition and matching, CorkBIC Global Investor Challenge and others will help Irish entrepreneurs learn about best practice internationally and working smarter.